High Torque Assembly - Will never loosen! 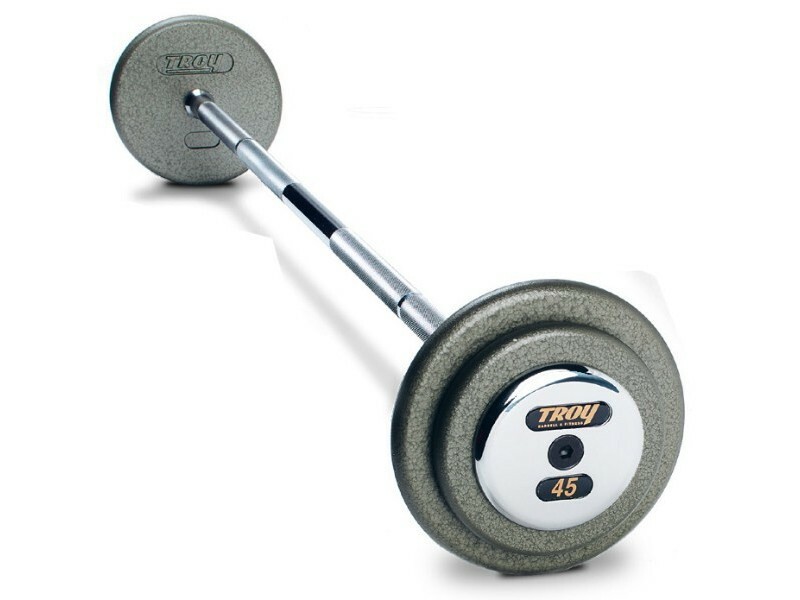 Includes one straight barbell. Select your desired weight and the color of the plates and end caps. 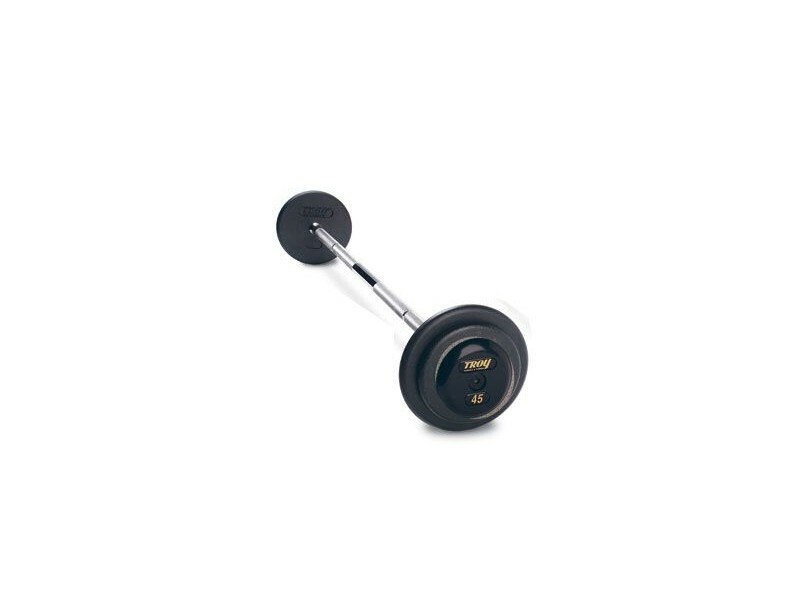 These barbells are the same type and high quality found in commercial gyms. 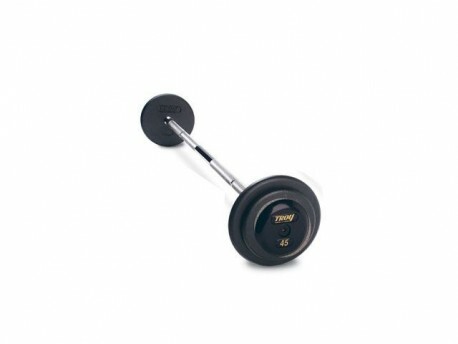 The full run of barbells from 20lb to 115lb are a convenience for users who are doing curls, overhead presses, or a certain other exercises and find it easier to pick up another barbell rather than change the weight. 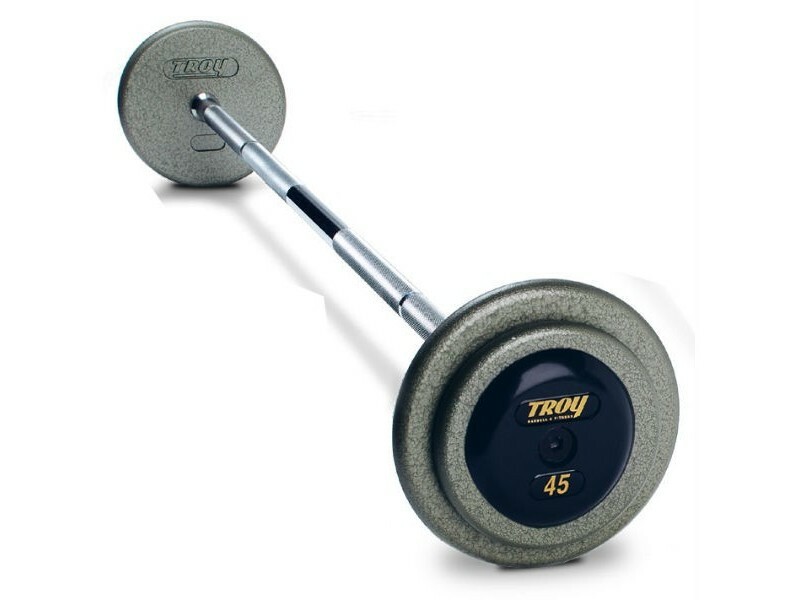 "Pro-style" barbells like these consist of individual plates bolted onto a bar, creating a fixed weight barbell that is not meant to be adjusted. These are assembled with an impact wrench to get those bolts as tight as they can be. The bolts will never loosen on you (and you won't likely succeed if you try to loosen them). 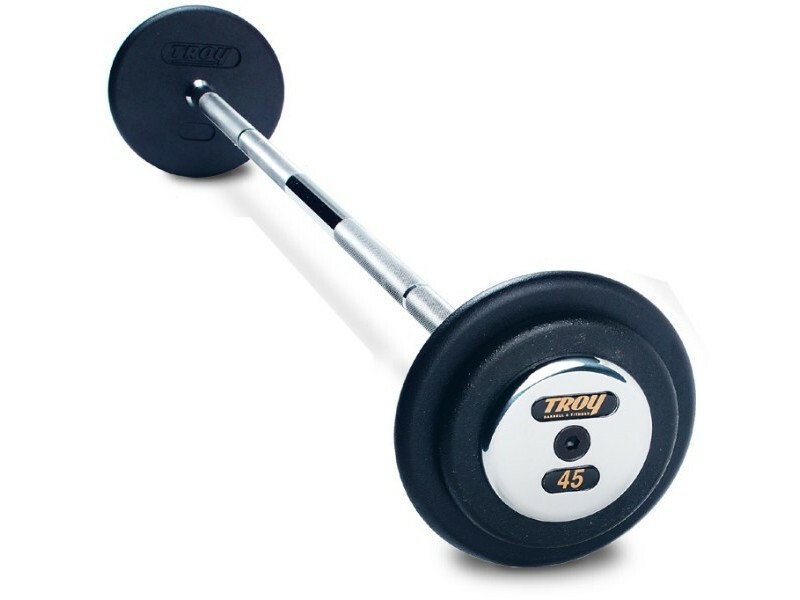 Like most products with the Troy logo, Troy guarantees these to be within 2% of the marked weight. ** Because these are assembled on-demand, please allow an additional 3 days lead time.